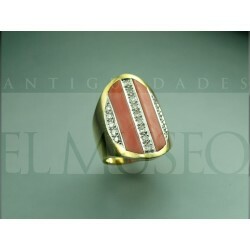 Jewels since XIXth Century until the present. Art-deco, Art-Nouveau, Belle-Epoque and our own designs. 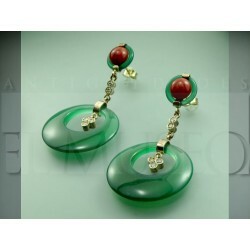 Jewels There are 109 products. 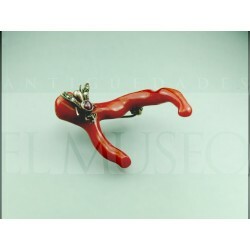 XIXth Century brooch of a branch of red coral with a gold and silver fly. 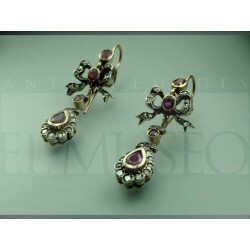 White gold earrings with rubies. 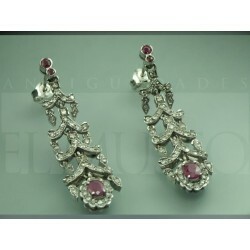 Long white gold earrings with diamonds and rubies. 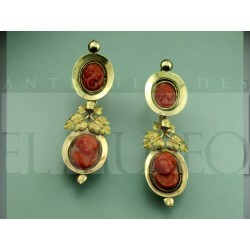 Art-deco style earrings made in yellow gold and decorated with green agate, red coral and diamonds. 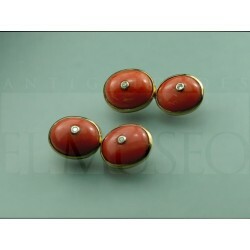 Antique gold earrings with two coral cameos. Original bracelet of interweaved gold wires. 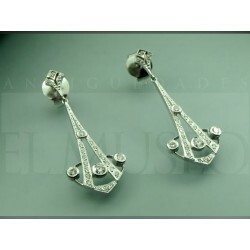 White gold and diamond earrings with art-nouveau inspiration.